Technically it's still summer, and that means we're still getting those annoying sweat stains. But we've been dealing with sweat our whole lives, and as a result, we've come up with some kind of plan of attack to mask the smell and/or prevent it from happening in the first place, usually by being very liberal with the deodorant or antiperspirant. But according to "Embarrassing Bodies" doctor Dawn Harper, as reported by Cosmopolitan, we've probably been using these products wrong the whole time. One of the mistakes people make, according to Harper, is putting on deodorant or antiperspirant right after we get out of the shower, when our armpits are damp. "To get the best results you apply antiperspirant to completely dry skin," Harper told Cosmo. We should also be letting our antiperspirant dry completely, otherwise we won't get its full benefits. But one of the most surprising revelations is that we shouldn't be putting on antiperspirant every day. According to Harper, if you apply it well enough, you shouldn't need to re-apply it often. "Apply two strokes up and two strokes down to each armpit. You should only need to do this once or twice a week," she explained. "Apply at night before going to bed to allow to dry fully. Leave on overnight and wash off any residue in the morning with soap and water," she explained. If done correctly, antiperspirant can keep sweat at bay for a full 24 hours, possibly even more if you're not sweating excessively. While she didn't go into detail as to why that's the case in this article, other people have in the past. 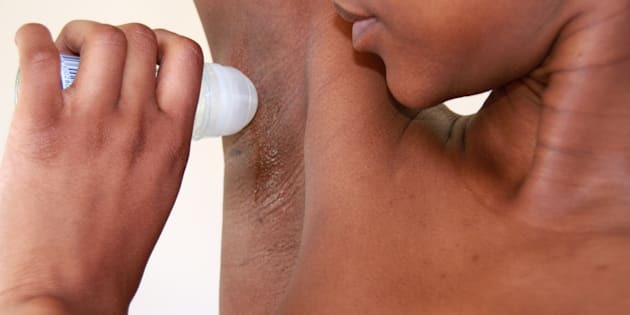 As Allure writes, antiperspirant works by plugging up the sweat glands, but needs time to get to work — which is why you put it on in the evening, when body temperature is lower. And if done correctly, it can keep sweat at bay for a full 24 hours, possibly even more if you're not sweating excessively. If you're not sure which deodorant or antiperspirant is best for you, you're not alone. But more and more people are making the switch to natural deodorant, which are usually cruelty-free and made from natural ingredients. And consumers are loving them. "This is the first summer I haven't been worried about sweating through my clothes. Even though it's not marketed as an antiperspirant, the plant-based powders contained in the deodorant absorb wetness!" wrote Women's Day's Annemarie Conte about Schmidt's Naturals. This is the first summer I haven't been worried about sweating through my clothes.